When you’re looking into buying a house, it can seem like a long and confusing process – sometimes you don’t even know where to start! We’ve put together a handy checklist to make sure that your buying process goes smoothly – for your peace of mind. – Drive around the neighbourhood and look at the house from the outside first – if you’re majorly put off by something that will stop you from buying the house, don’t waste your time booking a viewing. – Make a list of things you want to ask at the viewing so that you don’t forget anything that is important to you on the day. – Take a friend with you – it helps to get a second opinion. – Take your time and be thorough. Don’t let anyone rush you into making such a big decision – you have to be 100% satisfied that this is the house for you. – Be aware of how much similar properties in the area are selling for and how quickly they are selling – if they are moving slowly, you can potentially put in a lower offer. – Tell the estate agent, but also put your offer in writing – this way, there’s less chance of confusion or argument later. – There are circumstances in which a lower offer being accepted will be more likely, such as if the house has been on the market for a long time, if the seller wants to sell quickly, or if there is little interest in the property. – You should show that you are a definite buyer and that the seller can trust you to go through with the purchase. Act quickly, suggest a completion date that works for the seller and, if you are selling your previous home, make sure you sell it quickly. If you are not in a chain, this works to your advantage. – Agree with the seller that they will take the property off the market immediately – often, a seller will accept your offer but then accept a higher offer from someone else. This is legal, so it is down to you to make sure that once your offer is accepted, no one else can jump in with a higher bid. – You will need to assure the lender that you can responsibly manage your finances and that you can afford to pay back the loan – they will require supporting documents, so make sure your finances are up to date! – The lender will check that the property is priced correctly and suitable for mortgage purposes, using a mortgage valuation. 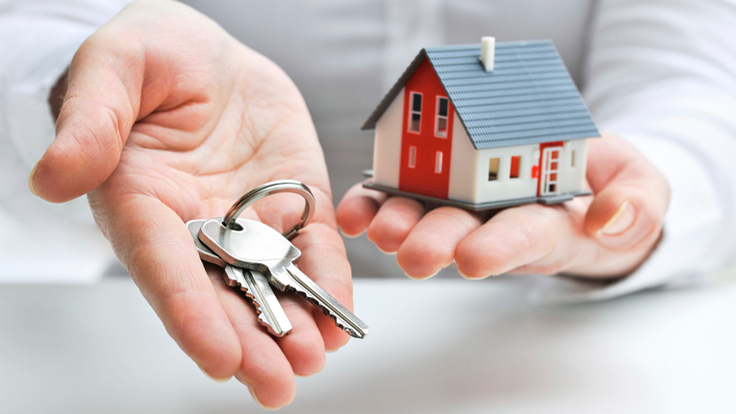 – They will sort out the transference of home ownership from the seller to you. – Check that your mortgage lender doesn’t require you to use a solicitor from its own panel otherwise you could have to pay an extra fee to use a different solicitor. – Ask your lender if they can recommend a solicitor who will charge a fixed fee and will offer a ‘no completion, no fee’ guarantee, so you won’t lose money if the purchase doesn’t go through. – Do not rely on the mortgage valuation – it will not provide an in depth report of the property’s condition. – An independent survey carried out by a professional Chartered Surveyor is highly recommended to save you having to fork out on unforeseen expensive repairs and renovations in the future. – The main two types of surveys: a HomeBuyer Report or a Building Survey – the latter being the more comprehensive inspection, recommended for older properties. – Contracts are usually exchanged between 7-28 days before completion. – Make sure that you are all set to put down the deposit, pay your mortgage every month along with household bills such as utility bills, council tax and home insurance – and make sure you have enough left over to eat! – Once contracts have been exchanged, you’re legally bound to buy the property – so by this point you should be 100% certain that you want to go ahead. – The completion date is when you will move into the property. Arrange to pick up the keys to your new home! – Normally you will obtain the keys through the estate agent. – It seems trivial, but it is important that you know how your new keys are getting to you – you don’t want to be stood outside with a removal van and no key!